If we don't have a class scheduled we welcome you to come spend some time at the shop and use our classroom. Just call ahead to check that the room is open. 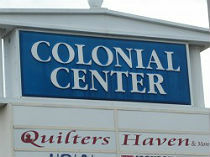 at Quilters Haven & More! project using the Endless Hoop! You must register for a class in person with cash or check made payable to the instructor. We will continue to refund your class fee if you can’t make the class IF you have provided THREE days notice. No shows forfeit the class fee. Our classes fill very quickly so please check with us often for class opportunities. The shop doesn't keep any part of the class fee; we pass the savings on to you. We appreciate you buying your supplies for the class here to avoid purchasing the wrong products. NOTE: ALL BRANDS OF MACHINES ARE WELCOME TO OUR CLASSES WITH THE EXCEPTION OF VIKING CLUB OR VIKING CLASSES WHICH ARE ONLY FOR VIKING MACHINES. HOWEVER, YOU MUST ALREADY UNDERSTAND THE OPERATION OF YOUR OWN MACHINE. Please click on the project title or image to see class details and a larger image. Come and join us on a paper piecing adventure. This quilt has captured my attention and I decided to make it. We will be doing one block a month for the next year. Slow and steady wins the race. We have put together a limited number of kits for the rainbow version, but yu are welcome to pick your own color way. Check out the book for more color combinations. Come and bring a friend for this grand adventure. Create baskets with beautiful texture and color. The baskets are useful in so many ways. 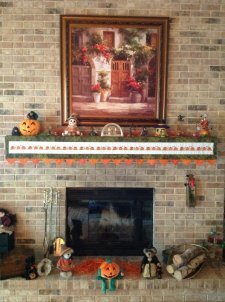 Fill with candy or what-nots and give a two for one gift or use as decorative containers in your home. Area Rug made with one 42" piece Jelly-Roll and Cotton Batting. Measures 30" x 44". 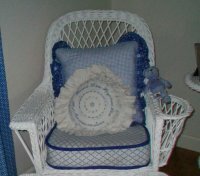 Learn to make this great project with Sandi. Yes, you can be a star. Make this fast and fun beginner friendly quilt. 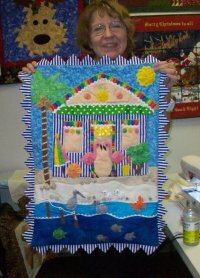 Bring a friend and have fun making this stunning quilt. Also makes a good pattern for charity quilts. The quilt-as-you-go method is a quilting technique that is exactly what it sounds like--you quilt-as-you-go along. 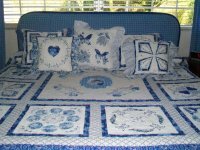 So, as you are piecing your fabric together, you are also quilting the quilt. 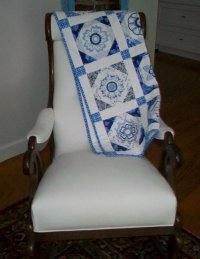 For many quilters like myself, it's hard to piece a quilt top, and then hand it off to someone else to finish. 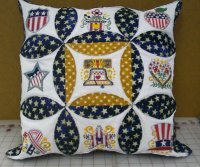 "Quilt-as-you-go gives quilters alternatives to finishing quilts. This class will teach you SIX different Quilt-as-you-go methods. A fabric kit will be supplied for you. Master machine quilting with your walking foot. 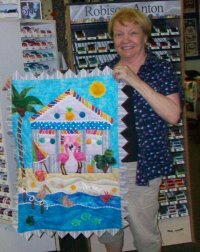 We will make a sampler quilt sandwich for practice and for your guide for future quilting. 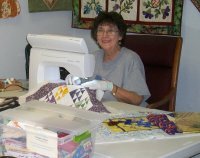 This is not free motion quilting and you must have a walking foot for the class. Finish Nancy's class projects with assistance.